We focus on investing in healthcare, logistics, retail, fintech and enterprise sectors. 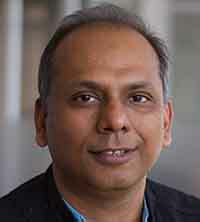 Manish Singhal, Founding Partner, pi ventures, is a keen technology, people and business leader. He is the Founding Partner of pi Ventures, a venture fund focused on Machine Learning, Artiﬁcial Intelligence and IoT based out of India. Manish has been active in the start-up ecosystem in India for several years. Brief us about your fund? pi ventures is India’s first Applied Artificial Intelligence, Machine Learning & IoT focused early stage venture fund. We look at pre series A and seed investments in startups and typically companies that are either on the applied side of artificial intelligence, or IoT or blockchain. We focus on investing in healthcare, logistics, retail, fintech and enterprise sectors. Do you support and assist start-ups only or already existing entrepreneurs too? We invest in seed stage and pre-series A startups. How do you foresee the future of AI? A clear trend is that products will die a natural death if they don’t use AI and machine learning in a meaningful way. Companies and products that will do well in the future are those that use data intelligently. Data-based intelligence will become an integral part of all products in the future and the best way to derive intelligence from data as of today is AI. We are seeing AI creating value in all verticals. What is the size of your fund? You have invested in how many businesses so far? We recently announced the final close of our first fund at Rs225cr, exceeding the initial target of Rs195cr. We have invested in six companies so far, of which three are in healthcare and three in enterprise; we have exited one of them already. We have invested in these startups: Sigtuple, which provides blood diagnostic solutions using deep learning; ten3T Health (Cicer) which does intelligent heart monitoring; Niramai, which helps in prediction of breast cancer; Customer Success Box, which provides real-time health scores to customers; Locus, a startup that uses uses deep learning and proprietary algorithms to provide intelligent route optimisation. The VC firm has already made a exit on its earlier investment in Zenatix, which offers energy efficiency solutions to large commercial consumers of electricity. We recently exited Zenatix. What are the criteria which you consider before investing in any business? We find, fund and support the best teams who are using Artificial Intelligence, Machine Learning and Internet of Things to solve real world problems. We consider the normal criteria of venture investing like a good team, good business model, market size. In addition, we consider two differentiating parameters. First, IP [intellectual property]-led products are a key criteria for us along with the business. In terms of algorithms, we look at whether there is defensibility, and whether there is applicability. Second, we look at data strategy deeply. Since AI feeds on data, unless the startups have a good data strategy, they will struggle. We ask questions like, how do you get access to data? Does your solution naturally produce the data which you can use? What is the value of that data? What is your view on the most promising sector in the next few years in which more startups will emerge? Fin-tech? Health-tech? Any other? In my view, all sectors are likely to see healthy growth in terms of startups taking interesting problems and solving them using technology. We also believe that India market is now opening up and we should see a lot more B2B use cases being solved by startups.